I was born and raised in Denver, Colorado. My time week to week is split between Culver City with the family, to Downtown LA in one of our shops, and Newport in our other shop. I work with my husband and co-owner, Raan - who founded Apolis. I try to be in the stores during the week, all while raising a little munchkin. A lot of our inspiration comes from travels - we love to travel and make sure we bring our baby. We’re constantly keeping our eyes open; it’s always a mix of work and fun, which is the best part of being able to work together! In all aspects, Alchemy Works is very much a family business. 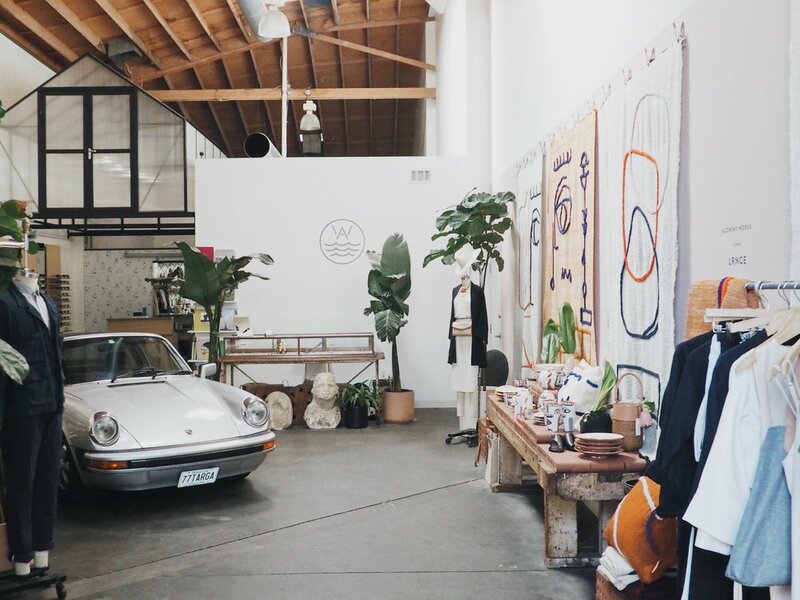 Alchemy Works is a collective gallery of items. It has deep inspiration from the ‘golden era’ of California. The name ‘alchemy’ means turning things to gold - we look at things that are gilded and study how old is made into new. We sell a lot we’ve found from the places we’ve travelled to - everything from Italian stone heads to vintage silver coins and jewellery. We collect things as we go and there’s usually only one of them, it adds to the in-store experience. 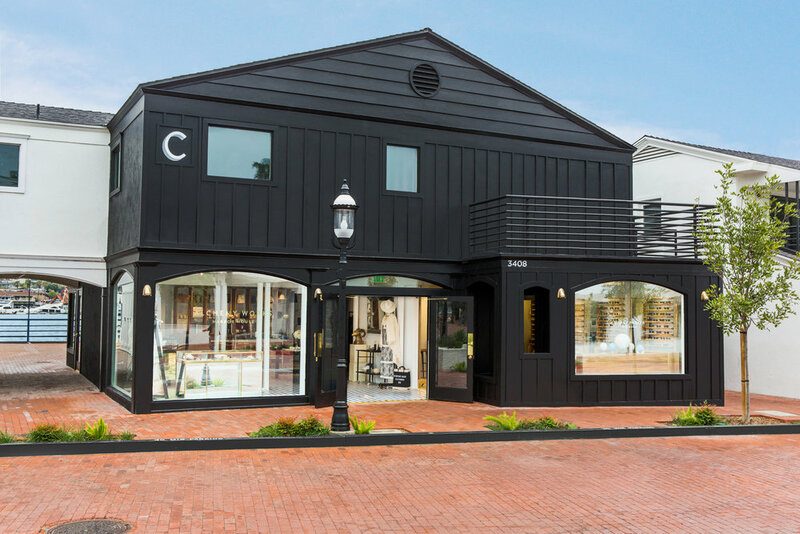 Our Newport Beach location carries a saltwater aesthetic - our version of nautical. It’s highly curated to black and white objects with a mix of natural fibers. Our Downtown location is further from the ocean and carries a little more of a modern gallery feel. Apolis came first - it was our very first store; we were the first store to open in the arts district in 2012 when the neighborhood was still developing. 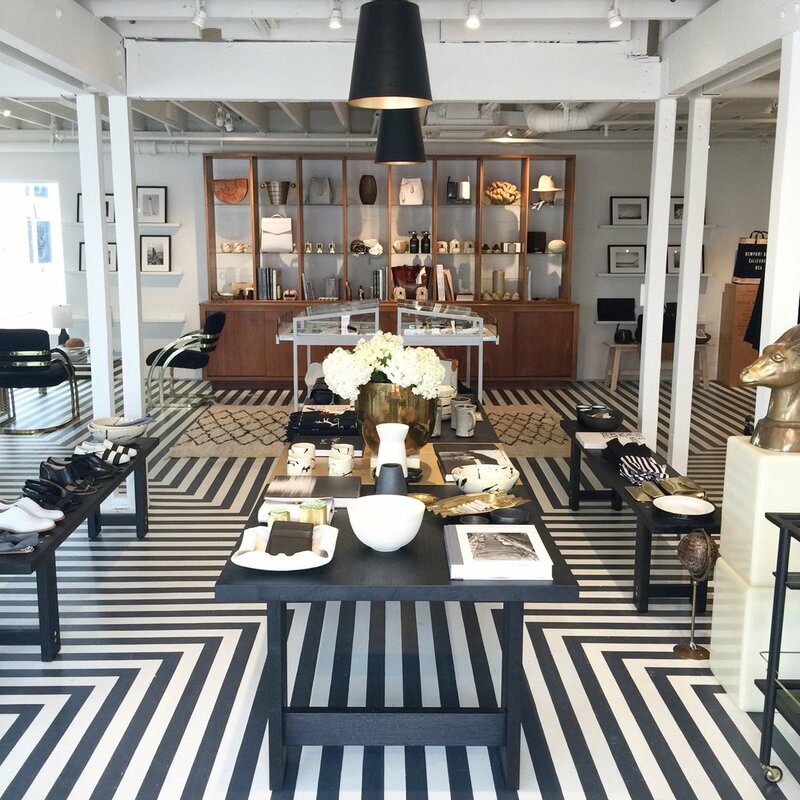 About a year or two after, we opened Alchemy Works as a store to focus more on women and home goods. We wanted to showcase friends’ brands that we knew and loved, as well as our own brands. As time has gone on Apolis has become more of a place for accessories and this place has had more flexibility. We’re not too precious with Alchemy; we’re always open to highlighting and bringing people in. So many opportunities have come with a space that’s flexible. I think we’re not naive to the fact that nobody needs anything else; one more store, one more place, one more thing. We keep our heads down and do what we love. We have a small place and want you to come visit us and see our changing vintage car in the middle experience our partnerships. We pick things that are complementary to our customers, and nothing stays for too long. There’s a mix of things you can’t get anywhere else - a lot of it comes from our travels. This is why it’s great to experience our location because we won’t have the same thing twice. For us, that continual creativity will hopefully spark an urgency to discover things that are new and have the need to shop right now because you won’t see it again. We hope there’s a sense of excitement, surprise, delight, and discovery. We understand that we need to reinvent; we’re not sitting on our world. We’re actually creating a bigger version of our two stores (in Denver and Playa Vista), in a department store layout, these ones will be more geared towards mass markets. Hopefully the why is that people continue to be inspired by what we bring in front of them. It’s our passion. Hopefully it comes through. Our favorite right now would be LRNCE. It’s our newest brand and only available in stores (both locations), and not available anywhere else in the US. There’s currently a big installation when you come into the store - we’re to do 8-10 of these a year. We love showcasing things that are unique; aside from our mix of new brands and locals, it’s nice have something nobody else has.